I am usually a hit or miss when it comes to New Adult novels. I've attempted to read quite a few, but unfortunately have to DNF them because either the story falls flat, or the writing falls flat. I was weary beginning this new series by Cora Carmack for similar reasons, but after the push to read it from some very trusted reader friends, I decided to give it a try. And I am so glad I did! The Rusk University books are definitely among my favorites that I've read in NA. The stories are addicting, and the writing feeds that addiction with just enough to keep me coming back for more. The setting takes place at Rusk University, a fictional college campus located in Texas with a football team that adds a lot of fuel to this otherwise middle of the road school. Picture Friday Night Lights meets college life and you've got yourself an image that is definitely hard to resist. 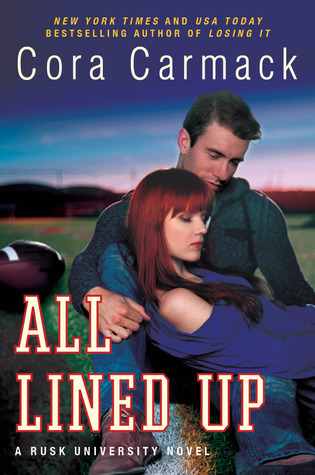 All Lined Up follows the story of Dallas, daughter of the college football team head coach. She's followed his rules and regulations her entire life, never truly listening to her own heart when it comes to what she wants. But then she meets Carson and it becomes impossible to ignore the feelings swirling in her stomach, threatening to break free if she doesn't act on them. I loved the solid story we were able to see as the chapters rotated between Dallas and Carson, giving the reader a closer look at what makes these two tick. I found myself rooting for them from the very beginning, cheering them on to seek what their hearts most desire personally and emotionally. All Broke Down shifts gears a bit and introduces us to a new character, Dylan, a spunky girl who is active in doing good for others, yet falling short to ever take care of her own needs and wants first. But it's Silas, someone we saw a few glimpses of in the first novel, that completely stole the scene for me. 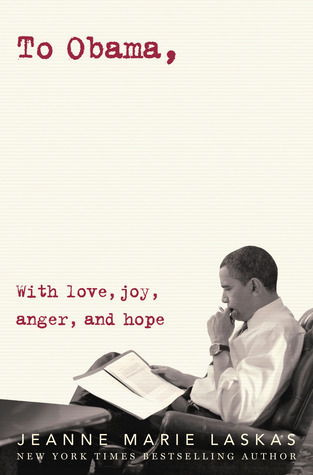 He is broken and tragic, which could have definitely sunk this novel into DNF territories. Yet it did the complete opposite for me. I found myself sneaking in pages throughout my day, constantly thinking of this story, wondering what will happen next and will these two characters come out the other side together. If you're on the fence about New Adult novels, never sure of where to start, I definitely recommend the Rusk University series. The third book will be out later this year, one I definitely want to get my hands on ASAP. Sometimes you just need a novel that will cause you to ignore some every day responsibilities, pulling you into a fictional world full of emotion and so much irresistible passion. I'm glad you gave these a try and really liked them. I did too. I liked All Lined Up more but I did still love All Broke Down. I just bought these two yesterday, and after reading your thoughts, I'm looking forward to reading them even more! I'm picky about my NA reads, but lately, I've been discovering such great stuff and been way more open to giving new stuff a shot. This sounds like just the type of read I'd go for, NA-wise, and I can't wait!